uithangbord of Tut's Tomb. The famous treasures of Tutankhamen's tomb have been exhibited around the world. 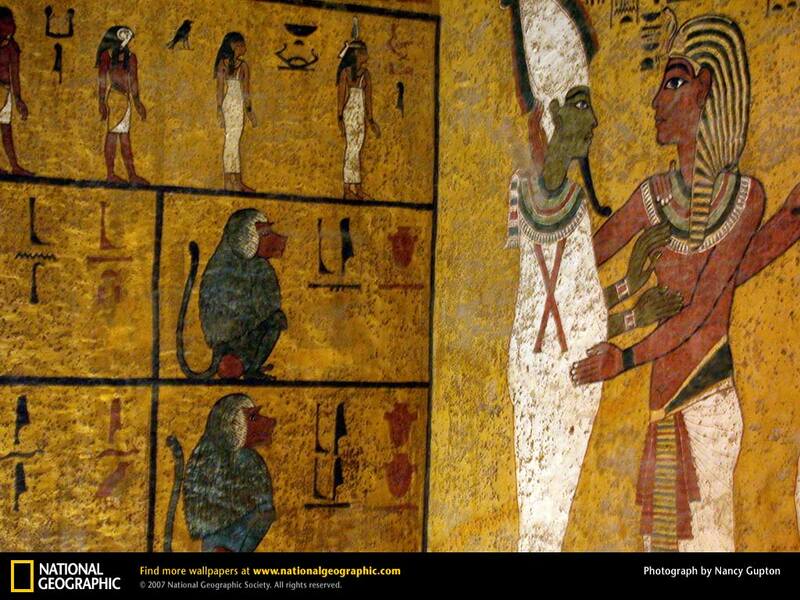 But the walls of the boy king's burial chamber remain as they were painted at the time of his death.. HD Wallpaper and background images in the Egypt club tagged: egypt king tutankhamen king tut tombs burial chamber.